All equipment purchased comes with a (6) month limited labor warranty and a (6) month limited parts warranty based on application of equipment unless otherwise stated in signed agreement. Fit4Sale will warranty any labor for the first 6 months starting from the delivery date of equipment regardless if used or not. Fit4Sale has the first right to rectify any problem with customer before determining if a certified technician will be used. Fit4Sale will also have the authority to decide which technician(s) will be used for any warranty work; otherwise any warranty may be void. Fit4Sale will NOT be responsible for any mechanical/cosmetic problems which may have been caused from shipping, unauthorized repairs or failure to provide regular maintenance. Furthermore, Fit4Sale will NOT be held responsible for any injuries, loss of business due to mechanical malfunctions or any other mishaps due to equipment purchased from Fit4Sale.com, Inc.
(6) Month labor only Pre-authorized by Fit4sale.com, Inc. (first $300/unit). Equipment must be located within a 75 mile radius of an authorized and certified technician. (6) month limited parts exchange warranty on commercial/private use ( limit of $500/unit ). Year exchange warranty on all motors for private or commercial use. 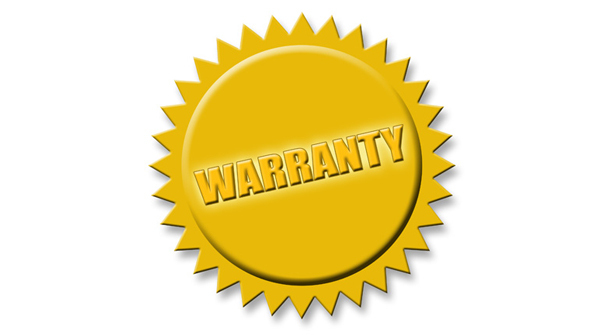 All warranty issues are at the discretion and authorization of Fit4Sale.com, Inc. only. Any technicians are to be certified by a major equipment manufacturer or authorized by Fit4Sale. Any parts shipped are paid by Fit4Sale and all parts returned to Fit4Sale are paid by customer unless otherwise stated. Proof of maintenance during the warranty period is required. All equipment must be regularly maintained by a certified technician during warranty period. Cardio equipment runs on different types of voltages and amperages. Some products, i.e. treadmills, require a dedicated circuit. Batteries are excluded from warranties. It is the customer(s) responsibility to make sure the proper voltages and amperages are used for proper operation. If in question, please contact us. I Year Extended Parts exchange warranty for only Remanufactured products is available for the first year at $299 for Treadmills/Ellipticals and at $199 for Bikes/Steppers. This warranty must be purchased within 30 days of product delivery. One Year Extended Parts exchange warranty begins on the first day after the standard 6 months parts warranty expires, and is subject to the same policies, procedures and limitations.I Year Extended Labor warranty for only Remanufactured products is available for the first year at $299 for Treadmills/Ellipticals and at $199 for Bikes/Steppers, and is subject to a $75 service charge per labor visit made (there is only one service charge for the same item repair during a 30 day period). One Year Extended Labor warranty begins on the first day after the standard 6 months parts warranty expires, and is subject to the same policies, procedures and limitations. All serviced and cleaned units purchased are limited to a (3) month limited parts warranty for commercial use and (6) month limited parts warranty for private use unless otherwise stated in signed agreement. Fit4sale will be responsible for a limited labor warranty up to a maximum of $150/unit and up to a maximum of $250/unit on parts for a period of (7) days starting from the delivery date regardless if used by customer or not. As is warranty is sold only “As-Is” and will not be covered under any warranties by Fit4sale.com, Inc. unless otherwise stated in signed agreement.